41nd CSI Training to Chitrawan Municipality Office Staffs, Chitrawan, Chitwan. Initially, Concept of Cyber Security Awareness in Nepal has been revealed by Dr. Ramhari Subedi, who lives in Washington DC; also, he is the founder president of www.dcnepal.com and the first appointed Cyber Security Advisor of Central Investigation Department of Nepal Police. Now Dr. Subedi, the CEO of Cyber Security International, is launching cyber security awareness campaign nation-wide; firstly, from Kathmandu, Jhapa and Chitwan. 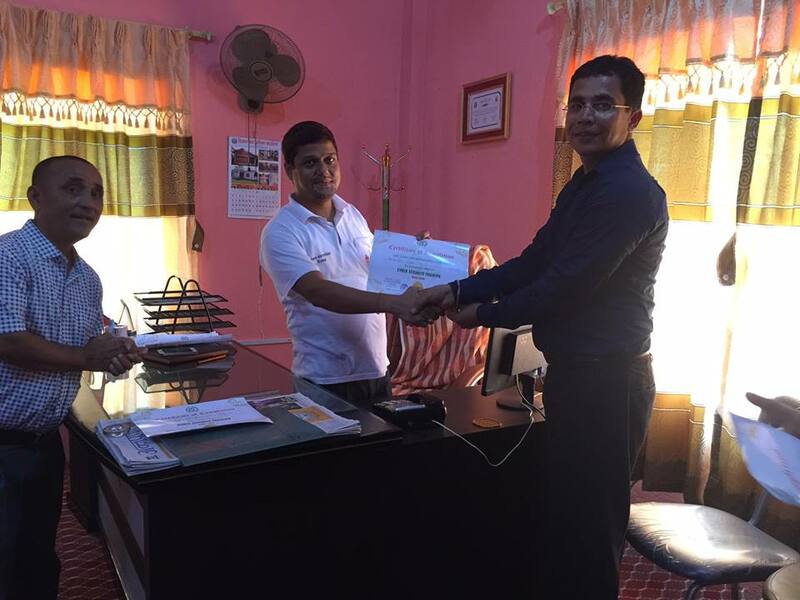 The program had been conducted at Chitrawan Municipality Office, Chitwan, Nepal. At the presence and participation of almost all the staff of Chitrawan Municipality Office and including VIPs and some locals. Social worker Mr. Bishnu Dhakal has coordinated for the event today. Also, there was the glorious presence of Mr. Ramchandra Aryal from the office. Dr. Ramhari Subedi smoothly handled the program focusing on the cyber security issues and preventive measures in the use of stand-alone computer, e-Mail, Facebook and other social media. Dr. Subedi was assisted by coordinator Miss. Pooja Gurung in the formal collection of data and setting up the equipment with Miss. Pratikshya Thapa. Dr. Subedi introduced himself and focused on the objective of the program in the beginning and started the slide presentation for the first level training. He delivered short speech on all the slides to show the rapidgrowth of cyber threats and to show the current cybercrime cases on Nepal. 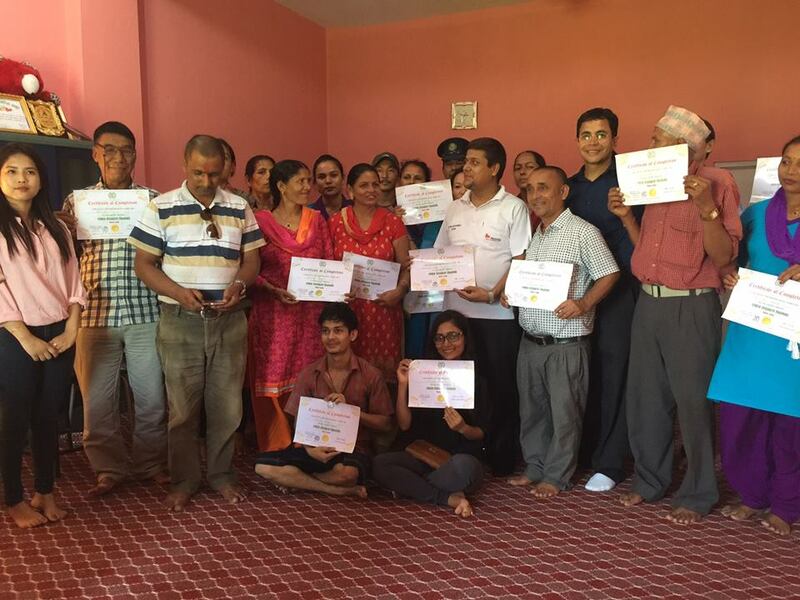 Afterwards, the second level training started, where Dr. Subedi focused on DOs and DONTs in the use of stand-alone computer, Internet, E-mail and Social Media including Facebook, other social media and in the use of android and iPhone. The program continued for 2 hours, i.e. from 1:00 p.m. To 3:00 p.m. The participants including Office Head and the guests gave pure positive feedback. The participantswere honored with CSI’s Basic Certificate. The awareness campaign was sponsored by Mr. Prem Bhandari - Civil Engineer /CEO of AMA Engineering, Virginia USA and Mr. Anil Pandey - CEO of Motherland Nepal Organization, Honorary PRR of NTB, California, USA.